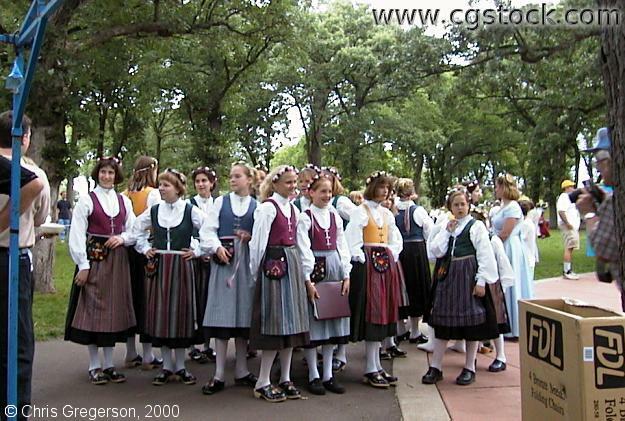 This is the Svenskarnas Dag Girls Choir, waiting to perform at Minnehaha Park. A few are posing for the photographer at the far right. The Performance Pavilion is out of frame to the right.